You may have a vague idea about the difference between voltmeter and multimeter, but you’re not quite sure and don’t really understand how these devices work exactly. If this is the case, you’re in the right place. Following is a short guide to help you get a better grasp of what these two gadgets do and what tells them apart precisely. Let’s start with the voltmeter, as it’s the simplest of the two. A voltage meter (voltmeter) is a tool used to measure the difference in electrical potential (the voltage) between two nodes of an electric circuit. Some are designed to test DC (direct current) circuits, while others are used for AC (alternating current). Some specialized versions can be used for measuring radio frequency voltage. A basic voltage meter consists of a current-carrying fine-wire coil suspended in an external magnetic field. 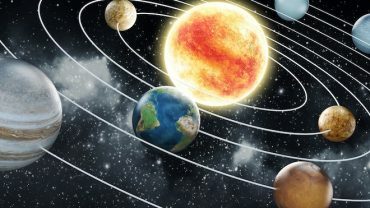 When the electric current is applied, the magnetic field of the coil interacts with the stationary magnet and creates a torque, which causes the coil to rotate, together to an indicator attached to it. The system is spring loaded and, therefore, when there’s no current present, the indicator goes back to zero. Modern, digital voltmeters also have an analog to digital conversion system which allows them to display the results in numeric form. Multimeters, as the name suggests, combine a variety of measurements in a single device. They vary from the simple Volt-Ampere-Ohm testers which measure current, voltage, and resistance to sophisticated gadgets that can also display temperature, frequency, inductance, capacitance, relative humidity, acidity and even light level. Prices vary accordingly, from cheap $10 units to laboratory-grade models that can go as high as 5 thousand dollars. Basic multimeters work similarly to voltage testers – they, too, are based on current-carrying coils set in an external magnetic field. In the case of the former, the way the resistors are combined allows you to use the device as an ammeter, ohmmeter or voltmeter. A dial on the multimeter allows you to choose what parameters and ranges you want to measure. Hopefully, the similarities and differences between multimeters and voltmeters are clearer now. To make things even easier for you, check out the table below, which shows you an overview of both devices and what tells them apart. Multimeters, as the name suggests, are multi-purpose testers which measure a variety of variables – from voltage, current and resistance to inductance, frequency, and humidity. Voltmeters only measure voltage, be it AC, DC, or RF, and, therefore, you can say they are only a sub-part of the multimeter. Multimeters can cost even thousands of dollars, depending on functionality and accuracy. Voltmeters are usually cheaper than a multimeter, considering they have fewer functions. Multimeters can have numerous applications, from constructions, industrial work and laboratory tests to troubleshooting wiring systems, domestic appliances, motor controls, power supplies and electronic equipment. 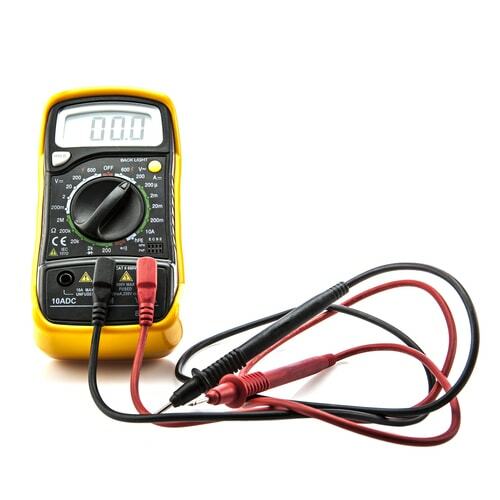 A voltmeter can be used in electrical engineering and for household appliances as well, but it obviously has fewer applications than a multimeter. Did you find our post on the voltmeter vs multimeter useful? If you subscribe to our newsletter, you’ll get plenty of interesting articles and the latest news straight to your inbox!